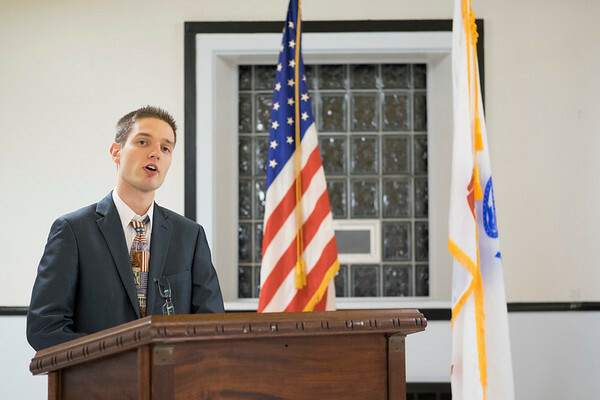 JOED VIERA/STAFF PHOTOGRAPHER-Lockport, NY-Nathaniel Manns reads his Voice of Democracy essay at VFW post 2535 Wednesday night. Manns Essay won the Post's and District's first place prizes and placed fourth in the State. Every year close to a 100,000 High school students compete for $2.1 million in educational scholarships and incentives awarded through the program. read Manns' and Shayla Tillmans second place essay on our editorial page.